African politician and former anti-apartheid activist. She was South Africa’s Minister of Health from 1994 to 1999, under President Nelson Mandela, then Minister of Foreign Affairs from 17 June 1999 to 10 May 2009, under Presidents Thabo Mbeki and Kgalema Molanthe. She was moved to the position of Minister of Home Affairs in the Cabinet of President Jacob Zuma, on 10 May 2009 a capacity in which she served until her resignation on 2 October 2012. 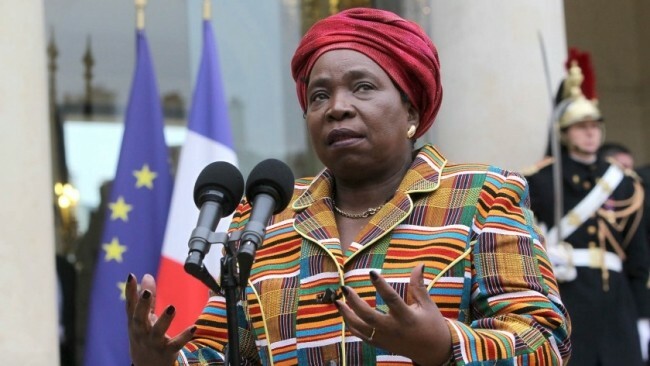 On 15 July 2012, Dlamini-Zuma was elected by the African Union Commission as its chairperson, making her the first woman to lead the organisation (including its predecessor, the Organisation of African Unity). She took office on 15 October 2012.